DUBAI, 10th February, 2019 (WAM) -- Gross domestic product (GDP) has prevailed as a metric for the growth and wellbeing of countries for decades, but significant indicators such as state of the environment, community health, cultural and social ties should be included, agreed a panel of speakers at the Happiness and Wellbeing forum, held at the seventh World Government Summit (WGS 2019) today. The three speakers expressed a consensus that governments need to look beyond GDP when it comes to gauging the positive development and happiness of their citizens. While GDP may be an indicator of how the economy is performing, it does not factor in the environmental, social and cultural factors. "‘What makes you happy?’ The answer will rarely be economy. Thriving social and personal relationships are a priority in driving citizen happiness," said Sophie Howe, Future Generations Commissioner for Wales, UK. She added that governments need to adopt a holistic approach to improving quality of life to prevent the world from becoming a disjointed and dystopian place. Deliberating on the governments’ role in enhancing the wellbeing of citizens, Dr Tony Burton, Deputy Chief Economic Advisor for the New Zealand Treasury, posed the question: "How can we change the way government operates in line with the private sector?" He suggested that changes should not be limited to the budget, but should be applied across the government. Budgets should only be viewed as a small part of the major change that needs to take place. Treasuries need to ensure that financial systems and legislations do not serve as barriers and instead align with other governmental departments and sectors to offer better opportunities. Dr Burton also pointed out that these decisions boil down to the people involved, and governments need to ensure that Cabinet committees include people who prioritize providing education and health opportunities to citizens. He applauded the efforts of Ohood Al Roumi, UAE Minister of State for Happiness and Wellbeing, in prioritizing the happiness and wellbeing of citizens. His talk concluded with an emphasis on coordinating departments and endeavors to improve their efficiency. Another recurring theme of the discussion was the need to create a better world for future generations, especially with positivity levels dropping across the globe. Economic and social theorist, and President of Positive Planet, Jacques Attali, said: "The global index of positivity is on the decline." 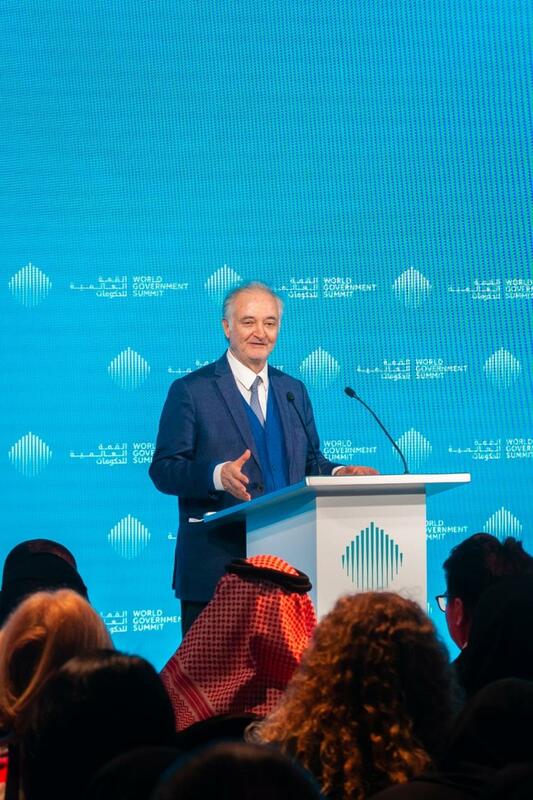 He encouraged members of the audience to treat the upcoming generation as their children and invest in creating better opportunities for them, pointing out that this is a "cynic rationality" and a "selfish" approach, as the welfare of the future economy lies on the shoulders of the next generation. If the next generation fails, the future will be terrifying as the economy will collapse. Howe echoed her fellow panelists’ desire to create a framework for developing and measuring the performance of the government in enhancing the wellbeing of the community, in addition to the country’s economic performance. She cited the example of Wales that implemented the Well-being of Future Generations Act to alert public bodies to their obligation to achieve wellbeing goals while observing the principles of sustainable development. She further discussed the importance of kindness, and how performing little acts of kindness could go a long way in building a positive community. In closing, she reminded the audience that our aim is to change people’s hearts and minds, as we often tend to forget that these contribute towards making the world a better place. 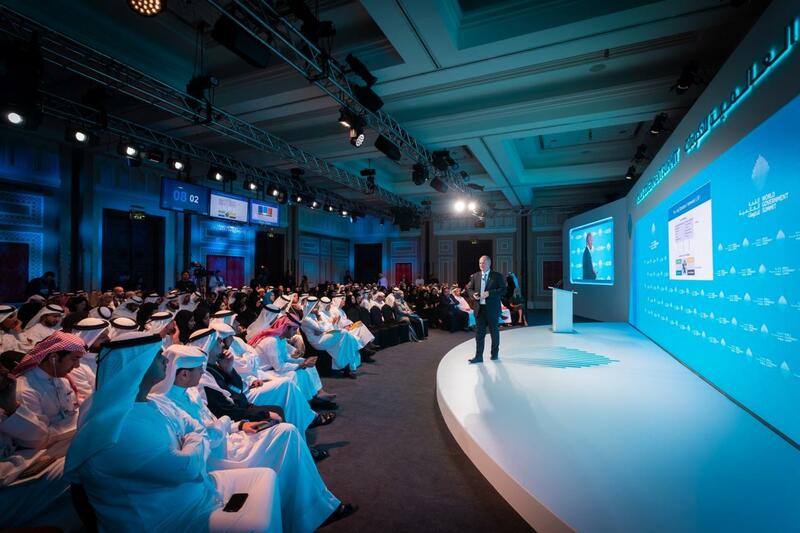 The three-day World Government Summit 2019 runs until February 12 at Madinat Jumeirah in Dubai. The landmark event has convened more than 4,000 participants from 140 countries, including heads of state and governments, as well as top-tier representatives of 30 international organizations.